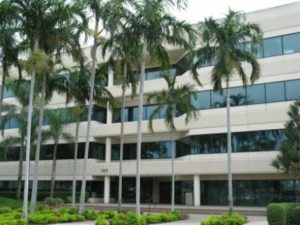 Virtual Office Hollywood Florida is located conveniently between Miami and Broward county, making it the ideal office for those who serve both locations. Easy to reach over Interstate Road 95 and close to Miami International as well as Ft Lauderdale International Airport. Start your corporate presence here and utilize our private office suites as well as two conference rooms at your convenience. Signing up is very easy just fill in your information online, process your payment and within less than 24 hours your personal corporate identity will be set-up. Add on virtual office features like the virtual assistant services or live phone answering services and just pay as you go. you will never be charged for more than you actually use. For any questions about this location, just send us an email by clicking on the link right under the location description. This way we know exactly what your needs are and will be able to customize your order. For a tour of this Virtual Office Hollywood Florida location, please call or email us with your information and availability, we will be happy to set up a meeting with one of our managers on site.